From the people who brought you the sold out Deadmu5 show @ The Tablernacle, we are pleased to bring to you another massive event with Full LED production, the absolute best sound system in the city and a wicked line-up. Featuring the legendary. The man behind Dim Mak Records has been credited with launching the careers of some of the most influential acts of the last decade including Bloc Party, The Kills, Klaxons, MSTRKRFT, The Bloody Beetroots, Mystery Jets, The Rakes, The Gossip, and more! Since founding his label, hes stepped into the limelight himself as a DJ. artist, and producer remixing the likes of Michael Jackson, The killers, Lenny Kravitz, Weezer, Drake & so many more! 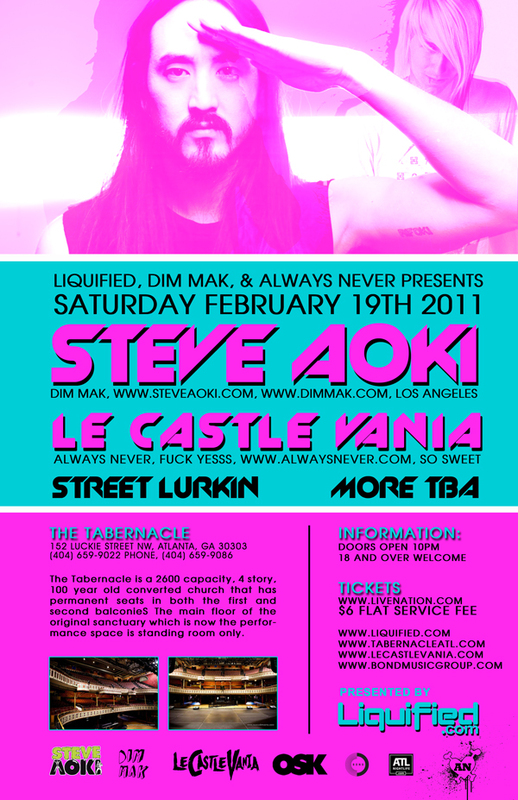 Since the summer of 2006, Le Castle Vania has toured nonstop, taking his catchy electro dance beats on the road. He has DJed along side some of today’s hottest acts, such as Justice, MSTRKRFT, Simian Mobile Disco, Busy P, Uffie & Feadz, Kavinsky, Soulwax, Surkin, Para One, The Presets, Steve Aoki and Crystal Castles. However, Dylan prides himself on more than simply pushing vinyl for the masses. His signature sound blends grinding disco punk with strong electronic beats and catchy synth leads, resulting in banging electro music that is dark and dirty but somehow equally uplifting and dancey. ← Previous post Online Advance Tickets for Planet Dub.